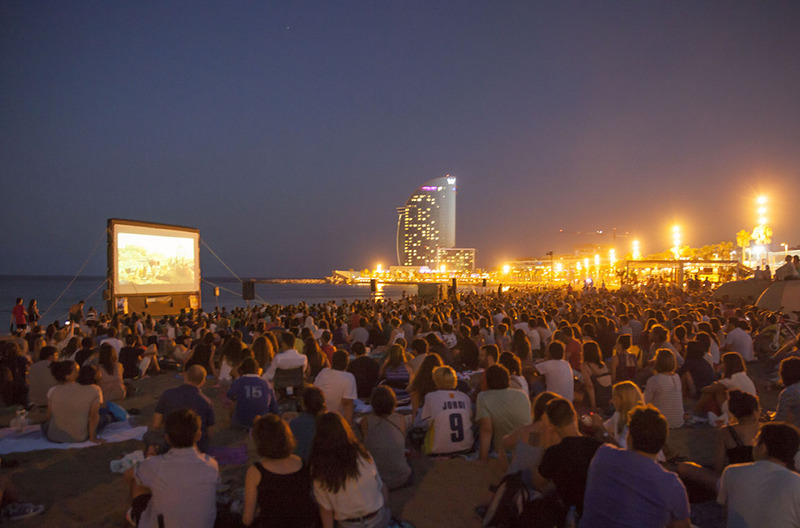 Summer in Barcelona is running or yoga in the early morning, until hot, sea ​​bathing, liters of cold gazpacho, siesta after lunch, and in the evening in this restless city always takes something interesting. 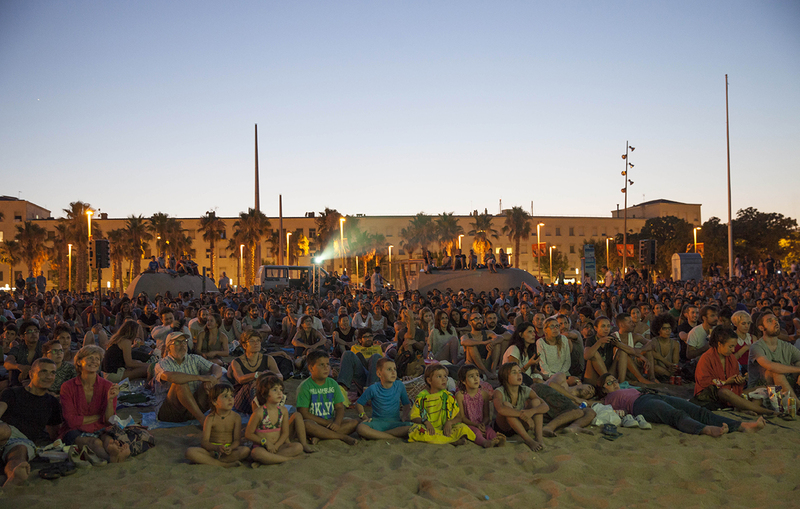 You can go to a jazz, to the Theatre, cycling, And, you can combine a cultural program with a walk to the sea, because free cinema runs from early July to August 7th at the beach twice a week. 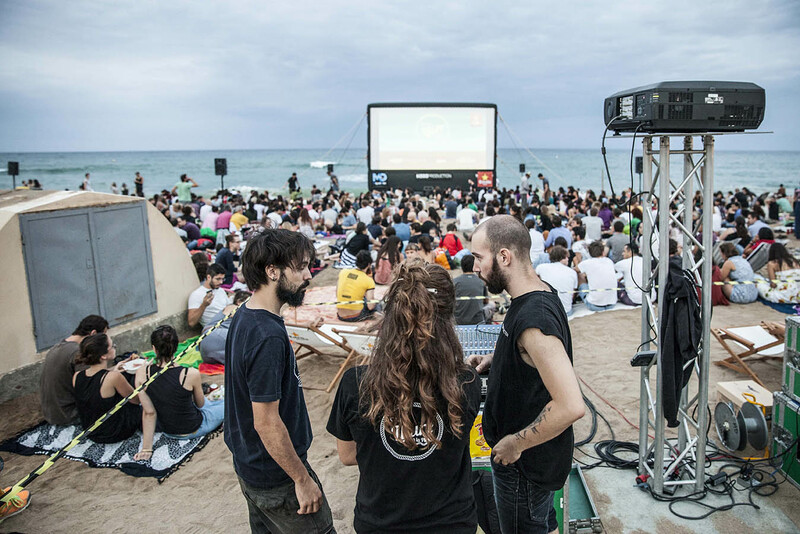 This is the fourth year in a row on the beach of San Sebastian along the road to the hotel W passes film cycle of independent cinema Cinema Lliure. 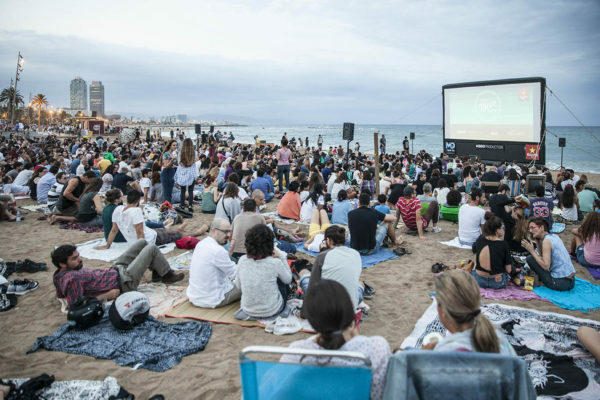 Every Thursday and Sunday is set right on the beach movie screen and everyone completely free can come in the open air cinema. Program for the summer movies 2016 You can see HERE. All films are in the original language with Spanish subtitles. Home in 21-00, advised to arrive early, to take the most comfortable seat in front of TV. 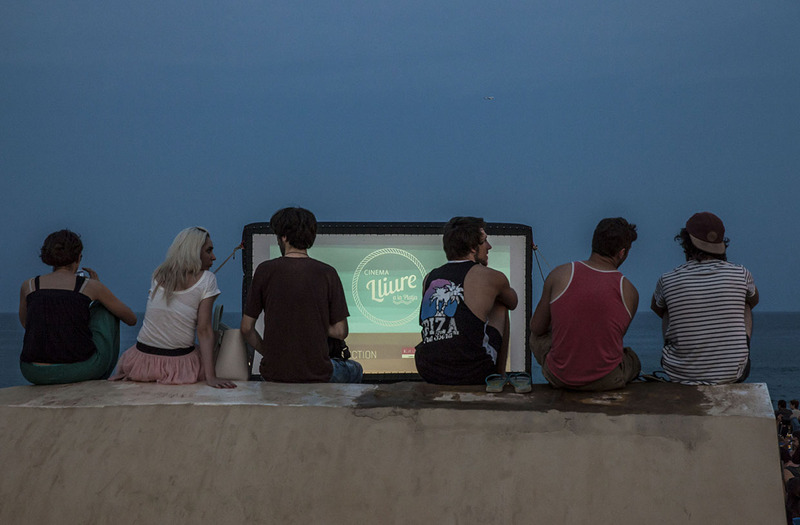 You can take friends, beverages, snacks and arrange pick-nick at the sea under the interesting films.